The next much-awaited time of the year in the Philippines after Christmas is the Lenten season. Many use this time to escape the hustle and bustle of life in Metro Manila and other big cities and just seek comfort and freedom from everyday stress. Combining religion and summer vacation, the Holy Week is the best time to get that much-needed rest and offer a silent prayer. To help you in this endeavor, real estate website MyProperty has listed down some of the must-go sites this Holy week that might be less crowded and just perfect for the season. 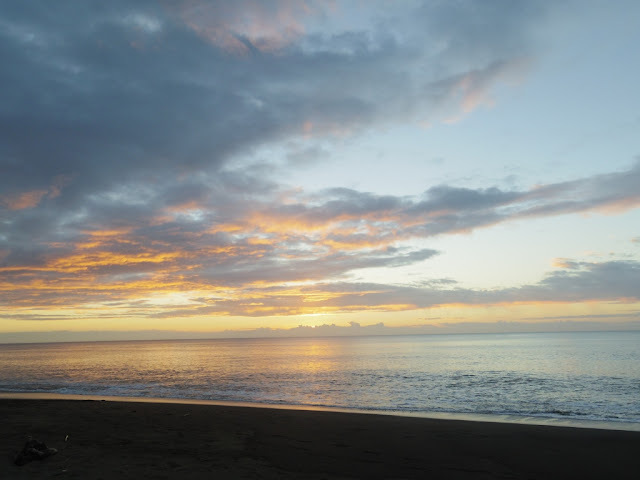 Relax and reflect in these awesome places so you’ll get back with a refreshed mind and body. The mystical island of Siquijor also boasts various tourist destinations. Some of the most noted are the Isla del Fuego, the pristine beaches in San Juan town and the centuries-old St. Francis de Asisi Parish, which is also the biggest convent in the country built in 1884. Siquijor also have a butterfly sanctuary and breathtaking waterfalls and springs but medical tourism is the real attraction here. The province is known for the alternative healing methods of the locals. Simultaneous with Holy Week is their yearly Healing Festival. The four-day festival is opened by a Holy Mass and will include healing sessions, exploration in Cantabon Cave and a holy trek to Mount Bandilaan. Deep Forest Waterfall, National Park Island of Siquijor, Philippines. Photo via Shutterstock. The Philippines has its own version of the Holy Land located in the province of Tarlac. Just 30 minutes away from the main highway and located at the top of a mountain in Bamban are life-size images that show the mysteries of the Holy Rosary and a number of Bible verses. The local “Holy Land” also has a replica of the tomb of Jesus Christ to complete the experience. It also highlights a 40-foot statue of Jesus on the cross on Mount Golgotha. 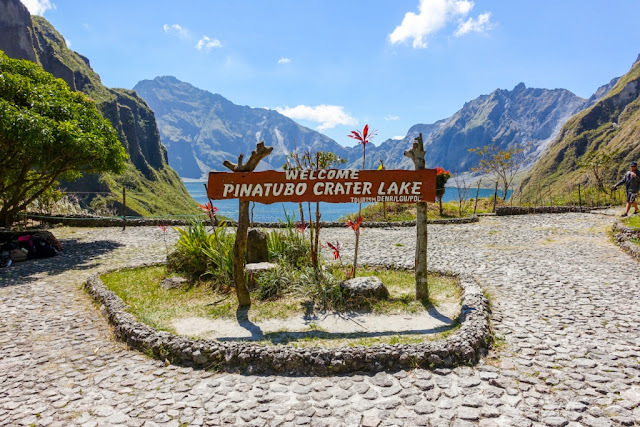 Furthermore, Tarlac should be part of anyone’s bucket list as some of the most thrilling tourism experiences can be found here, including the Mount Pinatubo trek adventure and Kart City Tarlac. Museums, waterfalls, and luscious food finds also dot the city to ensure a worthwhile vacation for all. The Pinatubo Crater Lake. Photo via Shutterstock. Slowly rising to popularity are the well-preserved white-sand beaches of Cagayan and Palaui Island’s raw beauty is at the top of the list. Once hailed as one of the “World’s 100 Best Beaches” by CNN, Palaui is beyond doubt a magnificent sight to behold and experience. Aside from its amazing water features, Cagayan has other activities perfect for all especially for the season of Lent. Historic pilgrimage sites can also be found in this stunning province tucked in the quaint northern part of the Philippines. 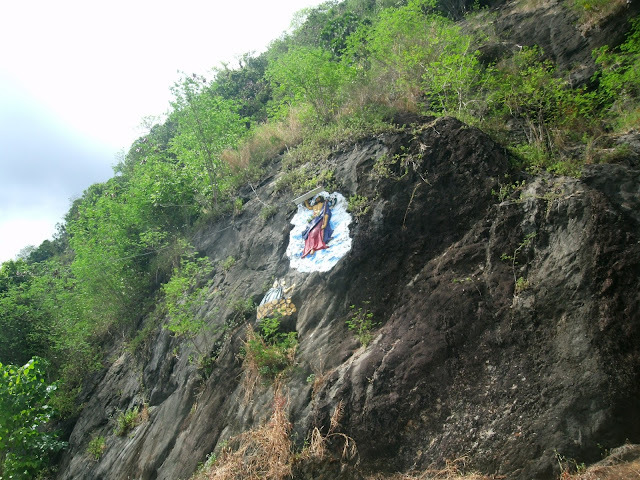 One of the must-visit pilgrimage destinations in the country is the Calvary Hills in the town of Iguig. Life-size statues depicting the 14 Stations of the Cross and the old church of San Antonio de Galica built in the 1900s can be explored here. What’s best is its astonishing location atop a hill, which affords every visitor scenic views of the mighty Cagayan River. Sunset in Sta. Ana, Cagayan. Photo via Shutterstock. Going to a pilgrimage is a favorite Pinoy activity during lent. In Zamboanga City, you can go on a nature trekking while observing religious traditions. At Pulong Bato in Abong Abong Park, the Stations of the Cross commence at the foot of the mountain and end at the peak. 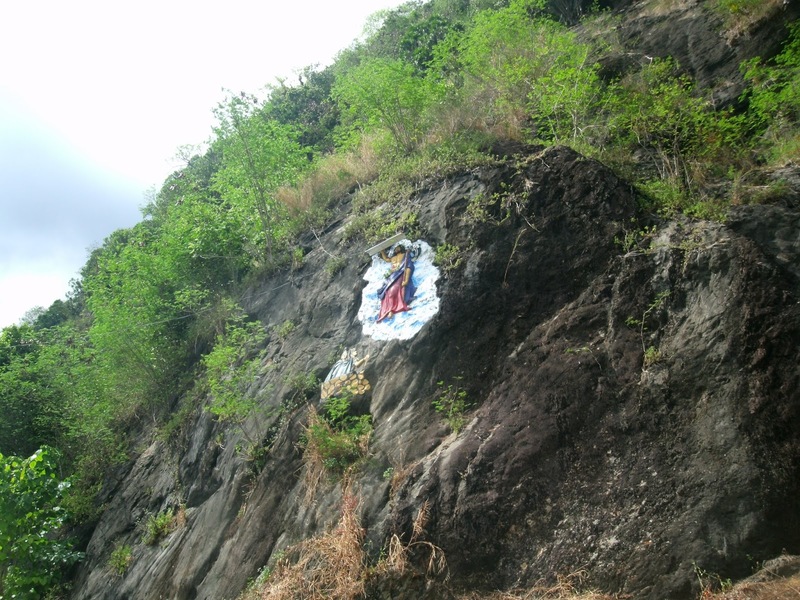 Religious images are also scattered and carved into the mountainside. After hiking and praying, you will surely get a different kind of high spiritually and mentally once you reach the top to rest and just appreciate the picturesque views. Apart from this marvelous religious place, Zamboanga City is also the home of a large number of natural and man-made attractions to add worth to a meaningful vacation. 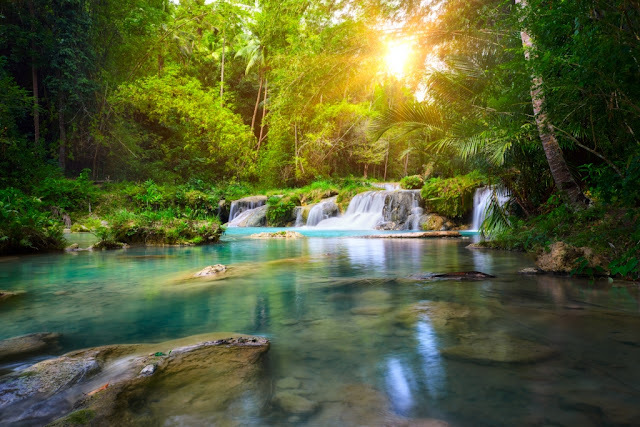 Carreon, Congo, Nancy, Busay, and Merloquet Falls are just some of the water adventures that are an absolute must-see in Zamboanga City, in addition to beaches and neighboring islands. Take your annual Visita Iglesia a notch higher by visiting the beautiful province of Iloilo. A trip to the centuries-old churches of the province is a must especially for your Holy Week reflection. 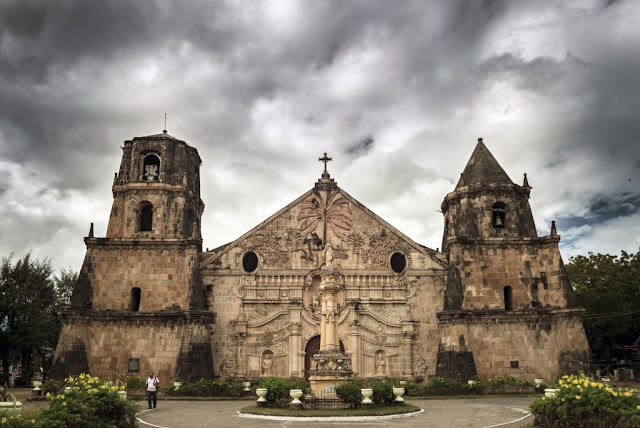 Be in awe with the historical churches that surround Iloilo, such as the Jaro Cathedral, Molo Church, Miag-ao Church, and Guimbal Church, to name just a few. After church hopping, neighboring island-province of Guimaras is just a short boat-ride away, which offers a different kind of water adventure for tourists. Forget about time and stress through the various offerings, such as marine sanctuaries, limestone formations, isolated beaches and coves, and a lot more. Miag-ao Church in Iloilo. Photo via Shutterstock. Free yourself with stress, feast on the beauty of the country, and observe the true meaning of the Lenten season through these lovely places in the Philippines that offer a total spiritual and mental cleansing.